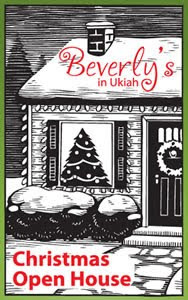 Beverly's Official Blog | News and findings from world of crafts, scrapbooking and more: Weekend Events! 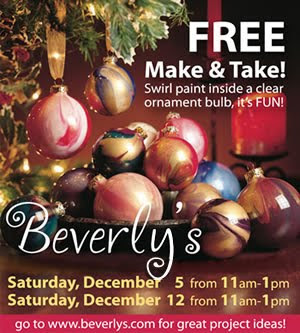 Learn how to make beautiful ornaments using paint and glass bulbs! 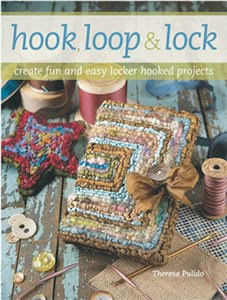 Learn about the craft of Locker Hooking from the author of hook, loop & lock Theresa Pulido. Includes great deals, demos, food, prizes and lots of fun! I enjoy shopping at the Canyon Country Beverly store. The Christmas trees are beautifully decorated,and the store looks very festive. I was wondering if the store will carry Scor Pal.